A joint is a place in our body where two or more bones meet. This is what enables us to move, for example our arm, from side to side. But sometimes, life can be tough on us, from injuries to infections; the possibilities of suffering from joint pain are inevitable. If the pain is so severe, this could render that part of the body inactive. In this article, you will learn all you need to know about the subcategories of joint pain out there. You will experience this kind of pain due to the spine having problems. The spine is made up of small bones, called vertebrae that line up from the top of the back all the way to the hip. Back pain may be caused by having an injury on the vertebrae. The injury would be a result of over-activity. The tissues found between bones may wear out and cause pain; this is usually felt when bending your waist, standing and walking. In addition, the cartilages found between these bones could wear out and cause pain, and this case is very common in aged people. Spine pain is a form of back pain. As a matter of fact, when people say back pain, sometimes they actually mean spine pain. The pain might be felt on the front, inside or back of the knee. Treatment will vary depending on the cause of the pain. A common cause however is injury. The knee is made up of 3 bones namely, femur, tibia and patellar, connected to each other by ligaments. Tendons and cartilage are also found there. So injury to any of these could cause pain. But knee pain can as well be caused by other diseases like arthritis. If you suspect it’s something serious, don’t hesitate, seek medical assistance immediately. This is another less common type of joint pain. It occurs mostly if you overwork your hip. Usually, the pain will be felt in the groin, the knees or the hip itself. And the pain can go away after a few days. However, it is always recommended that you visit a physician as it could be worse than you think. It can become quite difficult to stand or walk properly for that matter, as the hip is what holds your whole upper body. This is one kind of pain you probably have experienced several times in your lifetime. We use our fingers a lot so straining a ligament for example is something not so far away. Even typing can give you finger pain. Common causes include injury, diseases like arthritis and lack of blood circulation to the finger. Fixing this is very easy, but if you feel there is something more to it, a trip to the physician is not going to hurt. Now here is a popular one. The most common type of elbow pain is tennis elbow. This one can be very annoying. Apart from the pain you would feel when trying to do anything with your elbow, your shoulders may become weak. It usually happens after overuse of your elbow which might lead to injury of the tendons around it. Lifting heavy things for prolonged periods has also been known to cause this. But as we know, arthritis can cause pain on any joint in the body, including the elbow. Ankle pain is once again very annoying. If it’s so severe, it would actually prevent you from moving. Many of the reported cases are due to damage to the tendons and ligaments. But it is well known that gout and arthritis can also cause this. In addition, a study shows that people who are overweight are likely to suffer from ankle pain. Some symptoms of ankle pain include swelling of the affected area, stiffness of the joint and of course, pain from the affected ankle. Hand pain is caused by a number of issues. The hand has a lot sections and joints to begin with. But topping on the list of causes of hand pain is arthritis. Then there are issues like carpal tunnel syndrome, where there is a compression of the nerve that goes to the hand. Likewise, treatment will depend on the root cause of the problem. Now, everyone has experienced leg pain at least once in their lifetime. But if you are like me, you probably have even lost count. We are all aware of how muscle cramps feel when they happen. Other top causes of leg pain are injury of the muscles, blood clots and infections. Leg pain can at times prevent you from moving at all. The leg may swell or you might have a fever. If it gets to this, seek medical attention immediately. But if it’s not that bad, you might try using some ice or a pain killer. Leg pain usually does not last for more than two days. Being one of the most used and moved section of the body; the shoulder is susceptible to pain. While moving the shoulder, you might tear the tendons, or you can break a bone in an accident for instance. Carrying heavy things or wrong work-out practices have been known to cause shoulder injuries as well. Arthritis and some cancers can also cause this. Resting your shoulder or using ice can heal most of the simple symptoms, but if it persists, Yes! Go to a medical center near you. Ever woke up in the morning with you muscles hurting? And tracing this back to prolonged use of your muscles from the previous day? Muscle pain is very common. Usually, it comes after you put your muscles through intense use, like lifting weights for example. Most of the times, it’s the muscles in the arms and legs that are prone to muscle pain. But any muscle in your body can suffer from it. Usually, the pain goes after some rest. But when it has been caused by infections, medication would be required to treat it. Your thumb is always exposed to all sorts of dangers on a daily basis. This could end up damaging the muscles around the thumb or the blood vessels. Arthritis as usual, is also a famous culprit here. Thumb pain could prevent you from using your hand. But usually, the pain is small, and does not affect the functionality of the whole hand. This is again very annoying. In some cases, your muscles will feel weak, you would experience numbness or get a burning sensation. You would simply not be able to use your hand at all. Common causes are carpal tunnel syndrome, arthritis, gout and injury. Depending on the cause, you would then identify the appropriate medication. But it’s important that you seek prompt medical care if the pain is unbearable. Without our toes, we would not be able to stand and move properly. And having pain in the toes could prevent you from doing just that. Suffering from arthritis will surely bring pain to the toes. But an accident can do likewise. As a preventative measure, you will need to start paying attention to the type of shoes you wear. Have you ever worn a shoe that was too tight for example? And you should also avoid keeping long finger nails. Foot pain is again very common. Carrying our whole weight when we are standing and walking is not a joke. There is a lot of stress placed on the foot. And this can lead to stress fracture. Other causes of foot pain include gout, edema and wearing tight fitting shoes. For some women, wearing high heeled shoes gives constant pain. Other unlikely causes of foot pain may include a swelling on the foot. Foot pain may be felt at the balls or the middle or even the front area. As I have been saying throughout this article, seek medical attention the moment you notice it’s a serious issue. Almost everyone has had neck pain before. It can come about if you sleep in an improper position, if you have a poor posture, like turning you head unnaturally and more. Usually, neck pain is not a very serious issue as the symptoms would disappear after a day or two of resting or by just using some ice. To avoid it, make sure you use a soft pillow. When working on a computer or watching TV, adjust it so that it is not making you sit in an awkward position. Most of the times, you will get warning signs that you are not doing something right; ignore these at your own peril. Nerve pain will come in many forms, for example, a burning sensation, numbness, cramping and many more. It is caused by a nerve that has been damaged. Nerve damage can come about from issues like cancer, diabetes, accident, drugs and diseases like Aids. Nerve pain should not be taken lightly. Damaged nerves could make your organs not to function normally. So it’s advisable that you seek medical attention as soon as possible. This can be a real pain to your life. You would not be able to eat the food you love if the pain is so intense. In addition, it would give you headache, pain in the neck or even the ears; thereby affect your daily life. It would even prevent you from moving your jaw. So again, arthritis is not absent on the list of causes. Taking medication will usually be enough to take away the pain. And you might also need to focus on eating soft foods. The idea is to limit the jaw’s activity as much as possible. It is not really a joint pain, but I still thought of including it here, it all happens in the body anyway. This is a less common type of pain. It is usually caused by diseases like cancer, which make the bone tender, making it difficult and painful to use. But it can also result from an injury in an accident, where the born could be fractured for instance. Born pain can be quite dangerous, hence you need to seek medical attention the moment you start getting the symptoms. Born pain caused by cancer can be quite difficult to detect, so you will need a professional medical personnel. The pain will originate from anywhere in the ribs area. It could be that you broke your ribs, which is way too painful that you would want to go see a doctor right away. Inflammation in the ribs will likewise cause pain. Ribs protect vital organs like the lungs and heart. So it is important to determine what really is causing the pain. Just letting it be could prove to be a life threatening decision. The good thing however is that rib cage pain is not that common. And that’s it about the subcategories of joint pain. As we have seen in this article, it is quite a big list. Some are not that serious, and some are kind of scarcely. You can however try to prevent some of them by using common sense and responding to any warning signs. 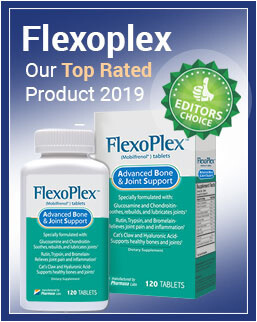 I already said it enough in this article, but I will say it again for the love of you good healthy: If you feel any kind of joint pain, and you think it’s serious, go see a doctor as soon as possible or take supplement such as Arthro 7.